Creator, writer and director, Paolo Sorrentino (Youth, This Must Be the Place) calls The Young Pope a “thriller of the soul” and for those of us who’ve seen just two episodes, we have only the context of a gorgeous, provocative and genuinely funny Pope Pius XIII (aka Lenny Belardo). Bare-bottomed and hazy-dreamed, the serial cigarette smoking, Cherry Coke Zero man threatens to banish all would be spiritual thoughts from our brains, and so if by “thriller” he meant that *zing* we feel every time Jude Law’s onscreen, then sign me up for a little bible study. But, I have a feeling this series is going to be a tad bit deeper than initial impressions might have indicated. Surrounded by lavish scenery (recreated Vatican sets, and gardens in Rome/Viterbo) and the elegant costumery associated with the Catholic church, Law’s Pius, a newly elected 40-something American who — like a certain nupolitician — you might at first be tempted to laugh off and for better reasons, shouldn’t (and can’t) is nearly perfect. Recalling his Gattica perfection in a wholly different way, Law’s every onscreen second commands full attention; his every word leaves audience and whomever he’s speaking with positively salivating. Yes, he’s that damned (whoops!) good. Not a one of the impressive, well-known actors, from James Cromwell as the spurned would-be, to Diane Keaton (doing her Diane Keaton-est to be someone else, but not quite succeeding) as Lenny’s pseudo-mom, Sister Mary, to Javier Cámara’s Monsignor Bernardo Gutierrez can pull away the camera from Law’s epic performance in the first hours, though two with whom you may be less familiar stand out in shared scenes. 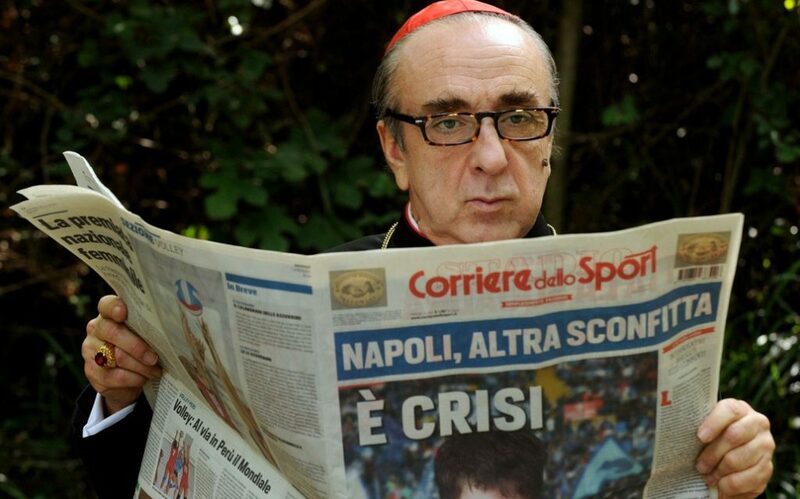 Italy’s Silvio Orlando is a delight, his Cardinal Angelo Voiello’s reactions to the pope’s unusual behavior and declarations; between his facial (in)expressions and genuine incredulity each time he realizes His Holiness is utterly serious cannot be outdone. Not since a Python film have we been so rewarded by such masterful comedic deadpan, and nearly every scene between Orlando and Law, there’s a feeling something could explode (the actors in laughter, or the pope, in irritation). And, don’t even get me started on that ridiculous, giant mole that will have your brain echoing John Candy’s glorious admonition to Uncle Buck‘s dream-crushing assistant principal every time the Cardinal appears. — and the kangaroo scene (yes, there’s a non-dream kangaroo scene), there is pure joy running throughout the papal seriousness. My only personal experience with the Catholic church is through a few relatives, and while I’ve always been fascinated by the ceremonial pomp — my sister paid (?) to have a reserved seat for foot washing (no pedicure) — I’ve a feeling The Young Pope may take the curiosity to a new level. 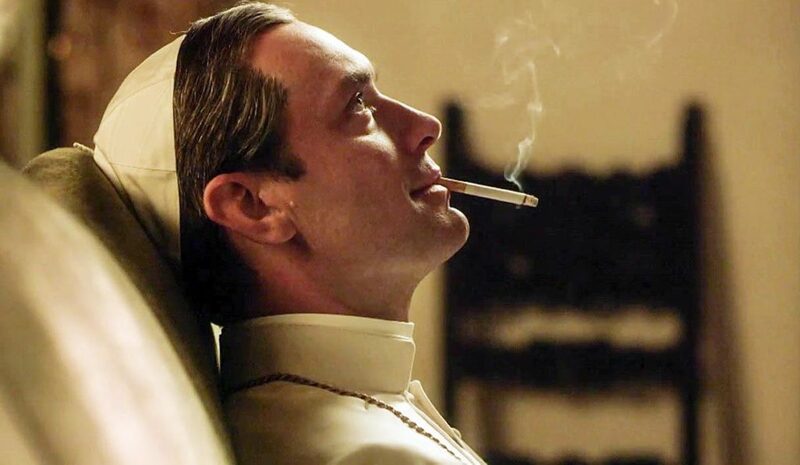 With Jude Law’s magnificent Lenny/Pope Pius leading the way, this particular heathen is in for the entirety of Paolo Sorrentino’s wickedly sinful (I presume), wonderful ride. “Enough about me, how is our pope”? The Young Pope airs on HBO Sundays and Mondays (two episodes per week) at 9 pm ET.